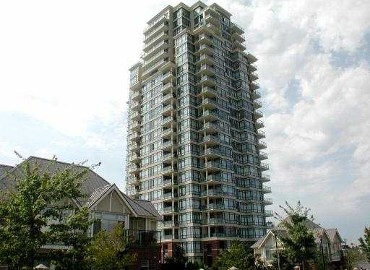 Marquis Grande at 4132 Halifax Street is an elegant tower built by Onni. It features electric fireplaces, open layouts and hot water tanks for each suite. Located just behind White Spot on Halifax Street and just a couple of blocks from Brentwood Town Centre and right across the street from Gilmore SkyTrain Station. Save-On-Foods and Winners are also within one block. Marquis Grande has an outdoor pool, spa area, media room and a guest suite. Views from the suites include unobstructed North shore mountain views, downtown Vancouver, the Metrotown area, Mt. Baker and Burnaby Mountain. There are 171 condo homes and 12 townhouses.